Mood boards are a great way to visually represent ideas, thoughts and style. As designers we love visual examples to help get our creativity moving. It is very important in the early stages of a design project to try and visualize a clients expectations to be able to understand their vision by giving a visual representation through a clear mood board. 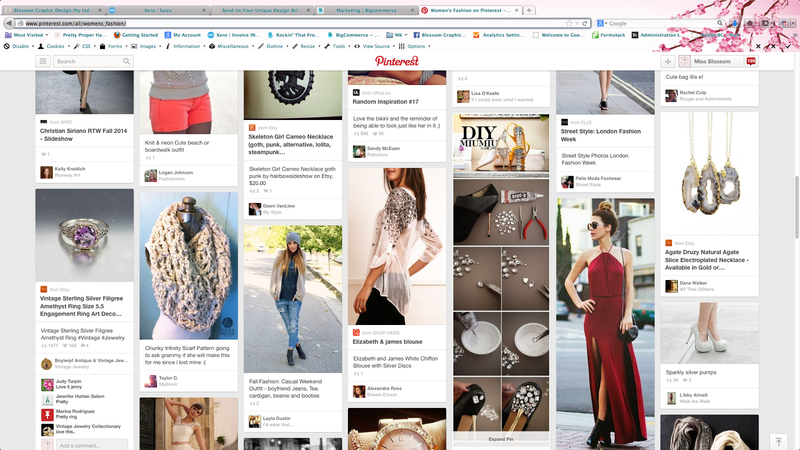 We love Pinterest as you can easily create your mood board anytime, anywhere, by the click of a button. If you are starting a project with us, we always ask for a mood board of at least 20 different images to help get us started and we can access your Pinterest board by following a link. We understand not everyone understands some of our requests so I've explained the answers to some common questions to help get you started. What do I search for and what sort of images can i pin? This is a common question, and the answer is anything! Anything you think will help us understand your vision. This could be an image that represents a general style, a colour, texture, shape ect. Just be sure to write underneath your image what you like about it! You can search for key words or browse through catagories, or if you dont know where to start, just browse the popular page. 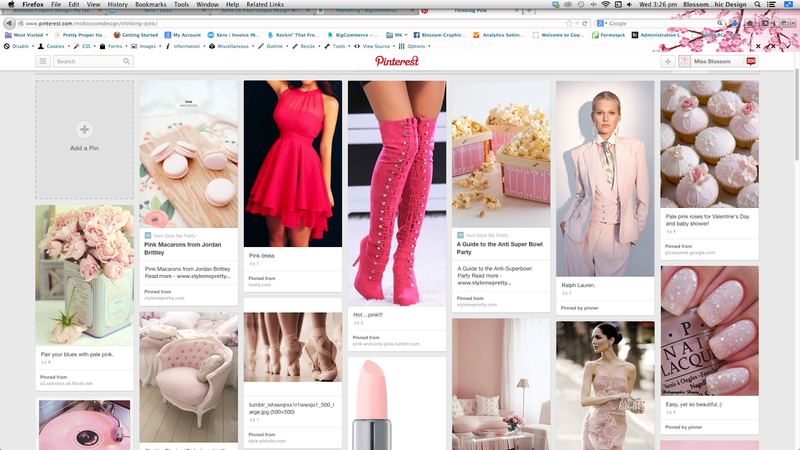 Below is an example of a board showing a Pink Style, as you can see the images are all different, but they represent a style. How do I pin to my board? Depending on if you are using a phone or computer, the answer is slightly different. If you are accessing Pinterest through your phone (and the have an app! So you can Pin wherever you are) you can hold you finger down on the image you like, and it will show 3 circles "Pin it", "Like" and "Send". Move over to "Pin it" and it will come up with the image you've selected with a space next to it it write what you like about it and underneath the boards you have on your profile. Write your description and select the board dedicated to your Miss Blossom Design™ project. If you are Pinning from a computer you can either click or hover over the image and it will come up with "Pin it" "Send" and a love heart. 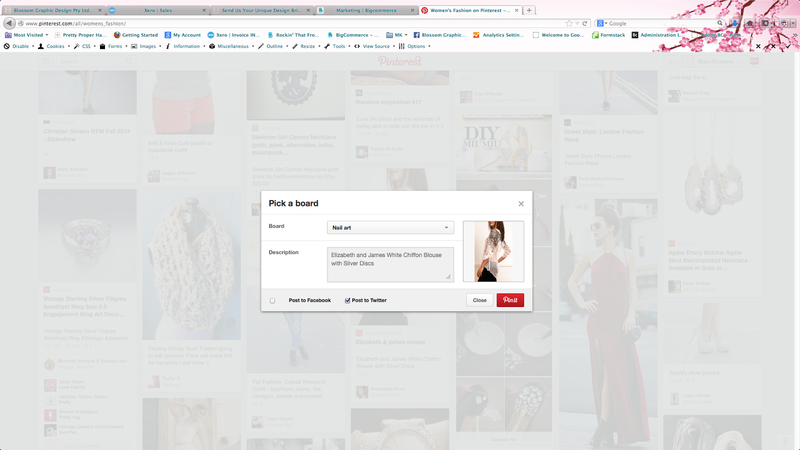 Select "Pin it", select the board you would like to "Pin" to and type your description in the space below. To finalise press "Pin it" in the bottom right corner. How do I get my URL? URL means: "Uniform Resource Locator, internet address". It is basically the web address you type into the top of your browser to take you to any website example: "www.google.com" will take you to Google. So when we ask for your URL link to your page, we mean the web address in the top of your browser so we can view your project mood board. To do this, go to your mood board and click the web address in the top browser, it should automatically highlight the whole thing. If you are using a Mac, press Command C to copy, or if you are using a PC press Control C. Then Paste "Mac-Command P, or PC-Control P) onto your Creative brief (the form we send at the very biggining of the project) near the bottom where it will ask "Link to your Pinterest.com Board/s of Visual References:"
We will then be able to copy and paste this address into our web browser and view your board. ©2014 Made with love by Miss Blossom Design™ Boutique. Powered by Blogger.